E. coli DNA mismatch repair complex. Computer model showing the structure of a MutS (Mutator S) protein from Escherichia coli (E. coli) bacteria binding to DNA (deoxyribonucleic acid, yellow and green) during DNA mismatch repair. Mismatch repair involves the correction of mismatched base pairs that can occur during DNA replication. 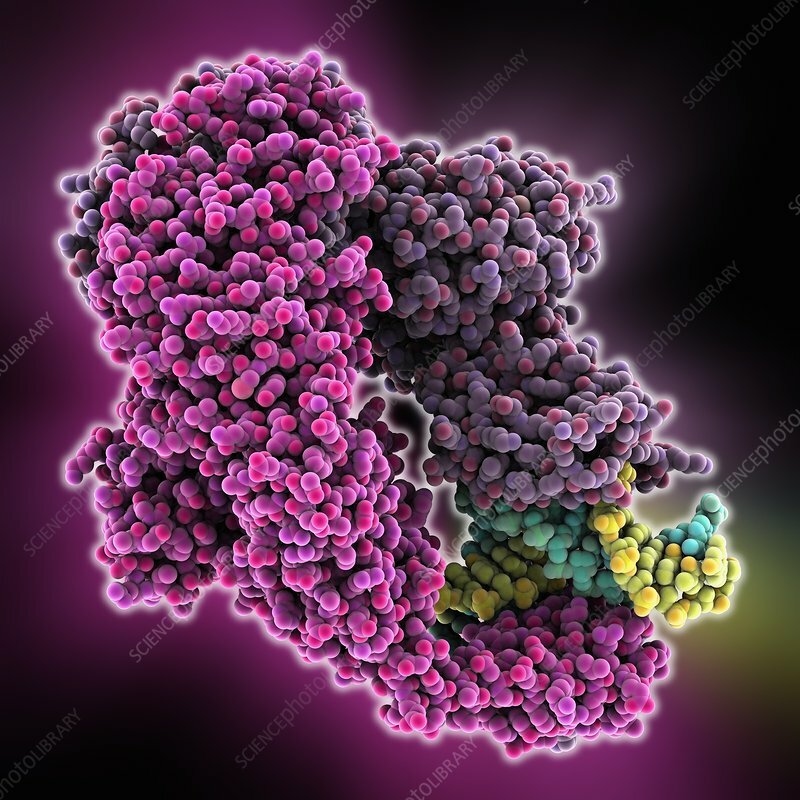 It is necessary to help ensure the overall accuracy of the DNA produced during replication and is essential for combating the adverse effects of damage to the genome. The post-replicative Mismatch Repair System (MMRS) of E. coli involves MutS, MutL and MutH proteins, and acts to correct point mutations or small insertion/deletion loops produced during DNA replication.